I have written many ebooks and produced many DVD’s, but until now I have never worked on my own solo project for a specific sport. Today, I released Ultimate Forearm Training for Baseball, so I wanted to tell you all a little bit about it. I played baseball for 15 years in my youth and I love to watch the game. In fact, we just got tickets for a Yankees game in August and I feel like a kid at Christmas time waiting for the day to come. I knew I wanted to write a program for some sport for a long time, but my ever increasing love and obsession with the game of baseball led me toward penning something that would help baseball players. Recently, I checked around the net to see what information was available on Forearm and Grip Strength training for baseball, and I found that there is a quite a bit of general information out there, but very little good information. 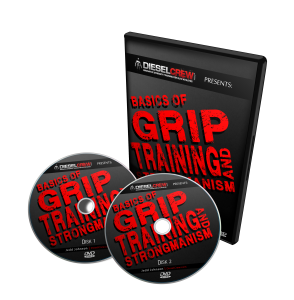 If you’ve been coming to the Diesel site for a while, you know I talk a lot about training Grip in a lot of my posts, so it would come as no surprise that I would put something together about lower arm and hand training, however, for some it was quite a surprise to see me put something out on Forearm Training. I named it Forearm Training instead of Grip Training, because a lot of the general public still gets confused sometimes about what exactly the word Grip means. 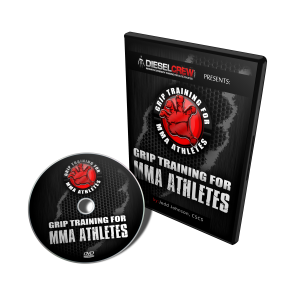 The manual is packed with both methods of Forearm Training and Grip Training. Why is Grip and Forearm Training Important for Baseball? Baseball is a sport of strength and power. In Baseball, force is often generated by the legs, transferred up through the core and into the torso, and then directed through the ball, bat, or glove. If there is any weakness, pain, or imbalance in the elbow, forearm, wrist, or hands, then the transfer of the power that our body generates can’t be 100% effective. Baseball Coaches and players have understood the importance of hand and forearm strength for decades, but unfortunately there have been very few good resources available about how to develop this strength. Often the information that is passed down from parents, coaches, and older players is out-dated recycled information, which limits players’ development. Thus the reason people are still doing the same exercises in 2010 that I was doing as a child, high school player, and college player. Below are many facets of the game that involve the use of the hands. Hitting: The hands hold and control the bat, taking the bat to where it is supposed to go and transferring all the leg and core power through the bat and into the ball. A neglected aspect of the baseball swing lies in the microscopic adjustments that take place when making the bat hit the moving pitch. This is heavily controlled by the last two fingers of the hand, yet almost nobody targets these important fingers. Pitching: Pitching involves transferring the power generated by the legs and core throughout the wind-up into the ball by snapping the wrist like the end of a bull whip. Pitching also involves the ability to angle the wrist through varying degrees of rotation and deviation for pitches such as curveballs, sliders, sinkers, and screwballs. Catching: Catchers themselves have to play a large portion of the game with their mitt held wide open for the pitcher to use as a target. They have to catch balls coming all speeds and angles and have to be able to maneuver their glove quickly, especially for pitches in the dirt. This requires full range of motion. Tagging: How many times have we experienced or seen on TV a player applying a tag only to see the ball pop out at the last second and no out is recorded? What if you don’t have time to cover up the glove with your off hand? This movement pattern is called pinching and requires specific strategies to train, and the equipment you need is already in your weight room or garage. Diving: How many times have we seen outfielders dive for a ball only to roll their wrist underneath them and miss half the season or more? With correct lower arm strengthening protocols, we can become more resilient against injury and allow us to bounce back quicker if we do experience an injury of this kind. Sliding: When you slide there is always a chance to bend a wrist too far back, jam a finger on a bag or shoe, or get stepped on by a cleat. We have to do everything we can to make our hands bullet proof, and this can be done with the short and concise workouts I have already planned for you. Don’t have much equipment? No problem. I have given you hundreds of movements to choose from with many alternatives for the equipment you use. Unilateral Imbalance: Baseball is loaded with unilateral movement and imbalance. Throwing, Pitching, Non-Switch Hitting, and Catching are all examples of things we do with one side of the body but not the other. This leads to cumulative trauma throughout various parts of our bodies and eventually injury and downtime. This problem is compounded by improper grip training practices. I will show you how to maintain balance in your training with proper exercise selection. What is in Ultimate Forearm Training for Baseball? Here is an abbreviated Table of Contents of the Manual. This just includes the main sections of the manual. What is Grip and Forearm Isolation? Grip and Forearm Isolation refers to training a specific aspect of grip or forearm training in a way so that the effort is almost completely focused in the lower arm and hand area. For example, an isolation movement for pinch is Block Weight Deadlifts. Even though stability takes place at the shoulder and movement takes place at the waist, hips, and knees, there is not substantial force generated at any area except the hand in pinch gripping and hold the Block Weight in the hand. Other examples of Grip and Forearm Isolation include Gripper Closes and Reverse Wrist Curls. What is Grip and Forearm Integration? Grip and Forearm Integration involves working large portions of the body as the principle target of the exercise, yet the Grip or the Forearms still remains a significant limiting factor in being able to complete the movement. An example would Thick Rope Climbing. It takes upper body strength, coordination, and stamina in order to climb a rope and by using a very thick rope, the demand on the grip is increased. What is Better, Isolation or Integration? Both types of training are extremely important. Grip Isolation is necessary for establishing a foundation in the lower arms. By working in Isolation, we can strengthen the individual components of the lower arm and take care of any neglected areas or weaknesses. For instance, a commonly neglected area of the lower arm is the extensor muscles. We can isolate them in order to bring up our weaknesses and re-establish antagonistic balance. Weaknesses in the lower arms might come from an injury such as a broken arm or hand. By isolating, we can direct our attention to a specific area or aspect. By working Grip Integration in our strength training, we are working our bodies in a more sport-specific way. Also, by performing Grip Integration movements, the hands and forearms have the potential to move and generate force over a wider path of movement. This can be seen in many varieties of Swings and Cleans using Grip-intensive equipment such as Thick Bar Dumbbells, and with Thick Rope Training, such as sled pulls. What if I Don’t Play Baseball? Is this Manual any Good to Me? I wrote this manual as a way for the baseball player, coach or parent to gain a better understanding of lower arm training and how to turn it into improved performance on the field. 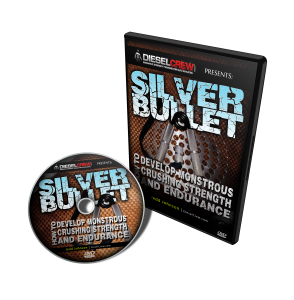 The members of the Diesel Universe may have a better understanding of these concepts because they have been coming here for years, but the Exercise Index in the manual is HUGE – 200 pages – and there is still a tremendous amount of information in the manual that has never been covered before here on the site, especially along the lines of preventive measures for the lower arms. I cover Injury Prevention and Recovery Methods in detail, coming from what I have researched over the years and what I have used to battle my own lower arm, hand and thumb problems. To wrap it all up, this manual is huge and jam packed with information on lower arm training. I am very happy with how it turned out and think it is going to be an important resource for years to come for baseball players and participants in other sports as well. Thanks for your support and all the best in your training. This entry was posted on Tuesday, June 15th, 2010 at 8:00 pm	and is filed under athletic strength training lift odd objects, baseball strength and conditioning, grip hand forearm training for sports, grip strength, how to improve grip strength, strength training to improve athletic performance, strongman training for athletes. You can follow any responses to this entry through the RSS 2.0 feed. Both comments and pings are currently closed.